Nissan 370Z Performance, Engine, Ride, Handling | What Car? With each consecutive update (the 370Z has been around for the better part of a decade), Nissan has attempted to improve refinement by fitting things such as thicker carpets and extra sound insulation – but you wouldn’t know it. The 370Z still feels like you’re driving a mobile boombox, with the cacophony of noises alternating between pervasive engine burr, transmission whine at low speeds and distracting tyre noise at higher speeds. A very heavy clutch and a gearshift that’s short-throw but also clunks through the cogs only emphasises the sense that the 370Z is something of a dinosaur by modern sports car standards. Yes, you could argue that this kind of blatant mechanical feel and bruising approach is a good thing, but it’s enormously wearing unless you find a road that the 370Z really suits. Unfortunately, those roads are rare. Your average winding B-road won’t do, never mind a motorway or urban route, where the 370Z is all hard work and no reward. You need a specific kind of fast, smooth, winding corner before you discover that there is a modicum of poise and satisfaction to be had from the heavy, consistent steering and taut suspension. 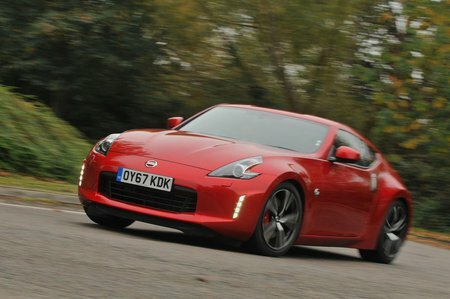 In tighter bends and quick direction changes, the 370Z feels heavy; while the steering weight is good, it can be tricky to sense whether you’re nearing the limit of grip from the rear tyres. It’s also difficult to find enough open road to really stretch this 3.7-litre V6. It’s a coarse engine that doesn’t feel particularly smooth and needs to be stretched well beyond 6000rpm before it hits its stride. That means most of your time is spent in the gruff dregs of the rev range, where it's punchy enough but doesn't sound very good. The drivetrain dominates the driving experience even more so in the Nismo model, thanks to a sports exhaust. However, the small increase in power (up 16bhp) barely makes any difference in reality, cutting just 0.1sec in the official 0-62mph run to 5.2sec. And despite feeling slightly more eager at higher revs, the engine’s ever-present sound and vibrations are much the same as in the standard car. 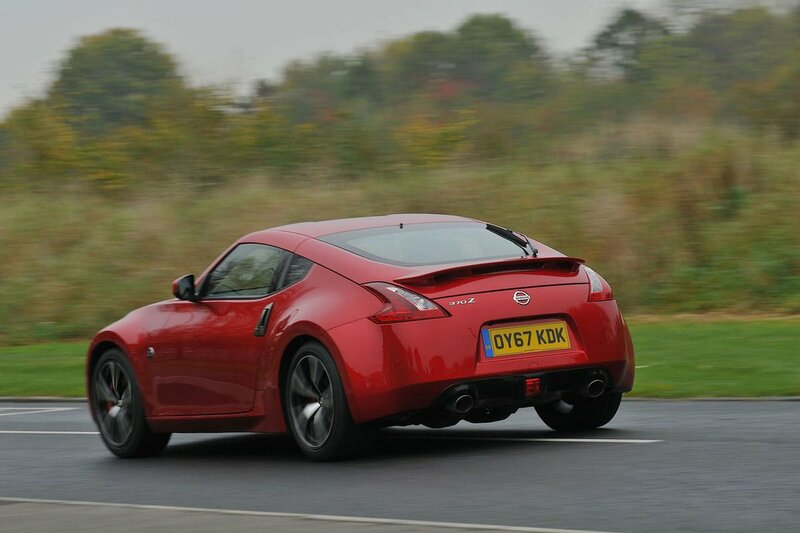 Both the standard 370Z and Nismo don’t ride too badly for a car of this ilk, but they’re far from comfortable. Undulations make the body bob up and down, so they fidget incessantly around town, and mid-corner bumps unsettle them enough to occasionally cause a loss of traction – and not in a good way. 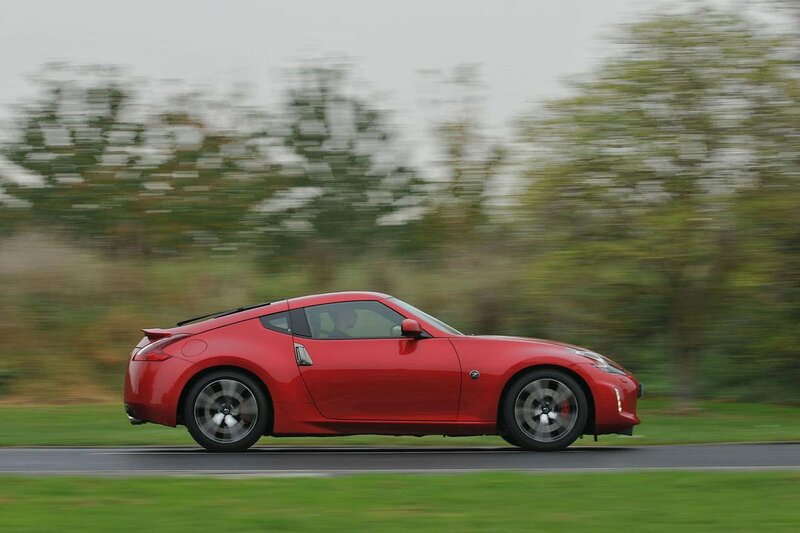 So, overall, the 370Z works in a very narrow operating window, making it a tiring companion on most journeys.